These Tigers Qualified For Nationals! 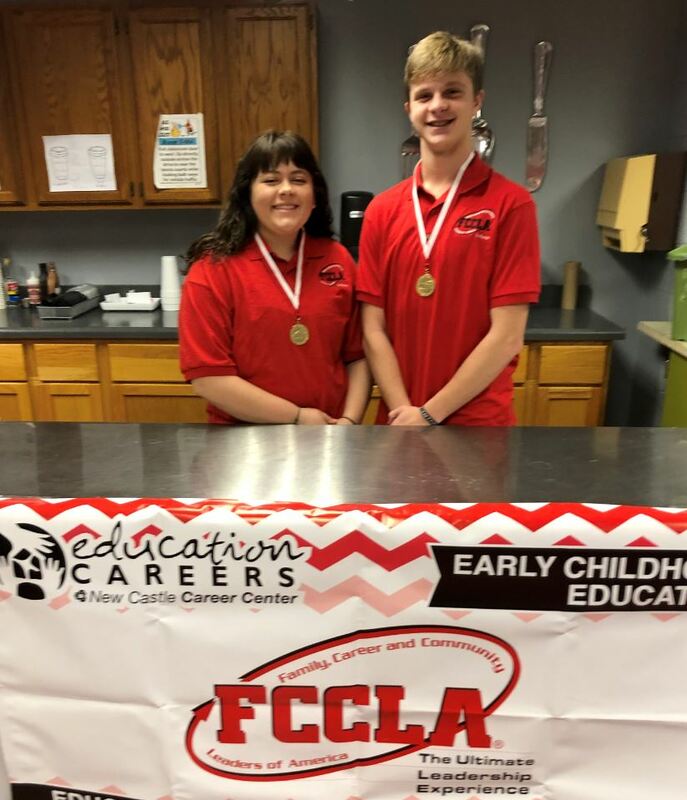 We send a tip of the Tiger’s tail to students Maddie Banta and Adam Nadler who qualified for the FCCLA Nationals competition through their work at the New Castle Career Center. Nationals will be held this summer in Anaheim, California. Ms. Banta qualified by earning a Gold Medal in Leadership, and Mr. Nadler also qualified earning a Gold Medal in Teach and Train. We wish both students continued success! Previous: Tiger Success Beyond Graduation! Next: Mr. Hampton Helps With ‘Ladz’ To Leaders!